As part of the Olioboard contest, I created a new design board. The rules of the contest say you must use 3 items from the provided set list of items from Wayfair. Then the rest of the items can be from anywhere. This sounds easy, but my style didn’t fully fit with the items provided, so pulling together a board was more challenging then I thought it would be. That is the fun of it though…the challenge and then seeing the end result. My Wish around the World and Neon Zone boards I just tweaked my original boards to add in Wayfair products. 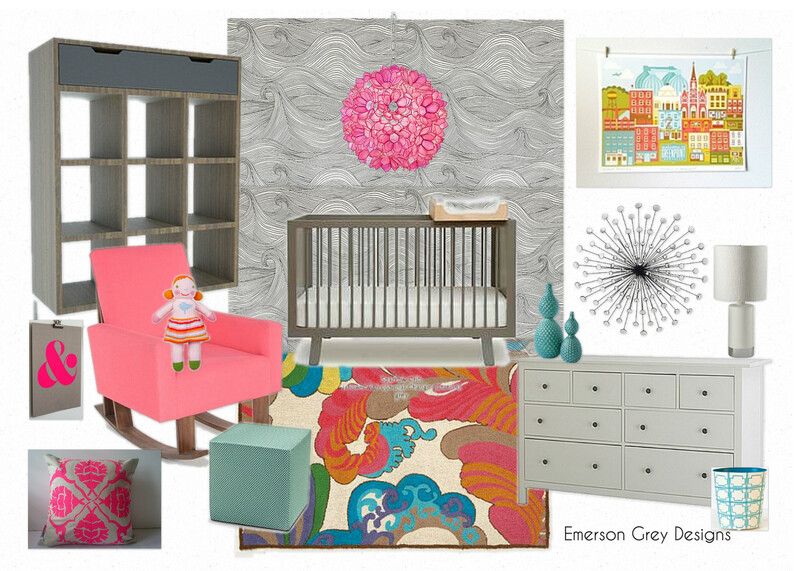 For my Modern Waves of Pink board I started from scratch…and I also set it up more like a real room. I don’t usually construct my design boards in this fashion because I feel it can sometimes take away from the concept of the board. Finding images that are at the correct angles and such is tricky and if the item is off it can really throw the visual. So I like to set my boards up differently, but hey why not try something new and do as the others are doing just this once. Vote for each of my boards daily by just clicking on the links I provided and clicking on the red heart below each board…I’d love your votes. And all sources used for this board can be found once you visit the link.